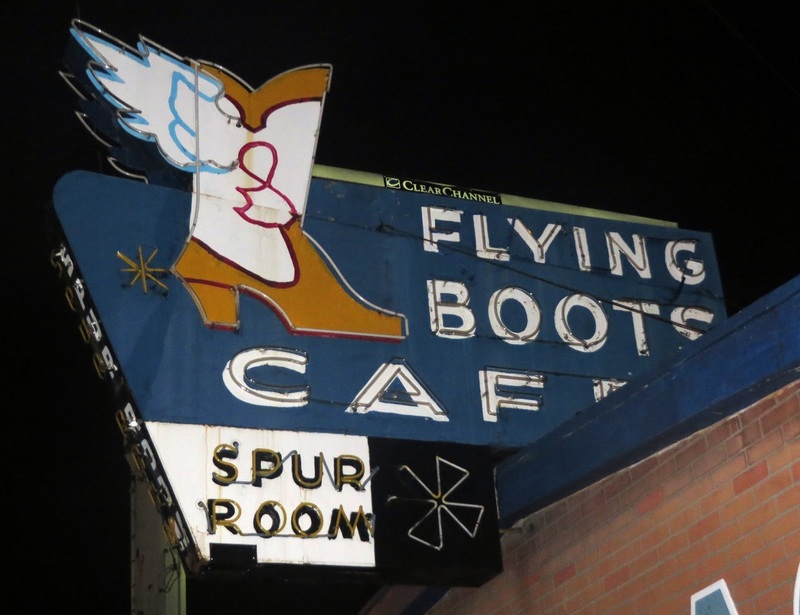 After 75 years in business, the Flying Boots Cafe and Spur Room bar closed on July 27, 2013. Thank the bar gods that new owners have snagged it and are trying to revitalize it. The current version has a relatively tiny selection of spirits (one hopes they'll be successful and expand the choices) and they have replaced the old school cafe menu with a typical contemporary bar food menu. 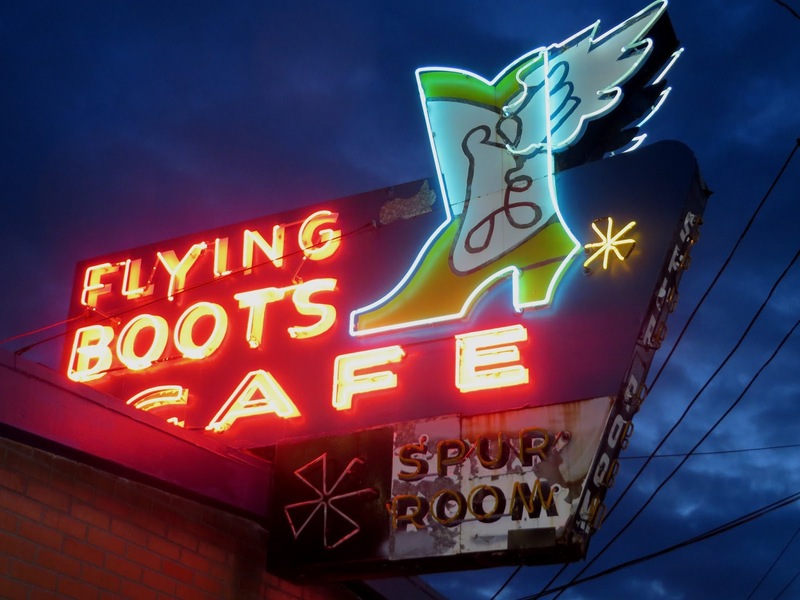 The new menu emphasizes the wings (the name of the business is now "Flying Boots & Wings"). They also host live bands, and if this particular night was any indication, probably the worst karaoke singers in the northwest. But it was a fun crowd, and I had a pleasant chat with Dave, who is 71 years old and has been drinking here since 1964. Dave was happy to see the place re-opened and he approved of the night's young female bartender ("I like the whole package"). It's great to have any bar operating under that splendid sign, and the new joint is a nice place to have a beer and some wings and chat up some old locals. I like the whole package.